Good morning. It's Wednesday, Aug. 1. • Kentucky's governor calls Gavin Newsom a "dirtbag." • Facebook finds what looks like a bid to sabotage the midterms. • And the best cottage and cabin getaways near the Bay Area. Houses in Daly City. 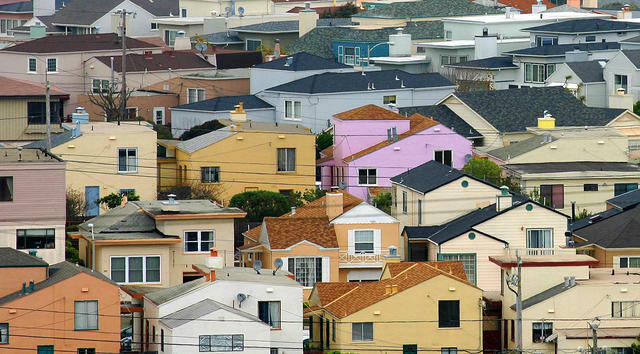 The median home price in California is more than double the national figure. With $1 million homes everywhere you look, it's hard not to wonder where people get the money to afford them. Turns out, it's often mom and dad. KPCC crunched home loan data and found that the reliance on family money has been rising in California. In 2011, roughly a quarter of FHA loans included down payment money from relatives. Today, it's a third. And in many zip codes, the proportion rises to half. The trend appears to be one more example of the widening gap between the haves and have nots. "It's almost like we're feudal now," one housing expert told KPCC. "You inherit the manor from your family if you happen to be a landowner. If you're not a landowner, it's really hard to get in." 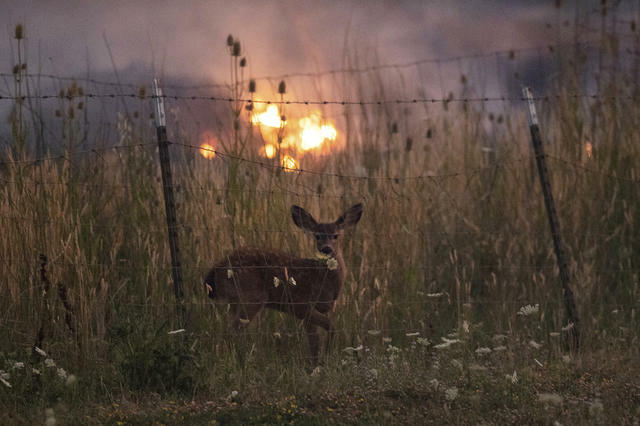 A deer stood behind a fence as a fire tore through Lakeport in Lake County on Tuesday. 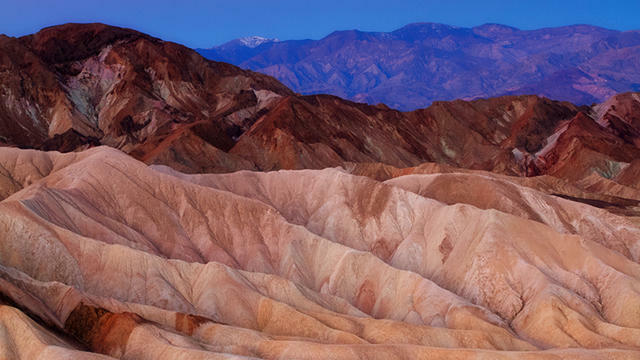 Zabriskie Point in Death Valley National Park. California's Death Valley is on track to set the record for the hottest month ever recorded on earth. Through the first 30 days of July, the average temperature was 108 degrees. The old record? Last July, with an average of 107.4 degrees. Fighting words: Gov. Matt Bevin of Kentucky called Lt. Gov. Gavin Newsom a "dirtbag," a "joke," and an "embarrassment to public service." Speaking at a meeting of the Koch political network, Bevin was making the case for supporting Newsom's Republican rival in the race for governor, John Cox. Facebook said it identified a sophisticated disinformation campaign that was potentially built to disrupt the midterm elections with divisive messaging around topics like race and feminism. The company said it removed dozens of pages and fake accounts that had lured 290,000 people with techniques similar to those used by a Kremlin-linked group. Police Chief Jerry Dyer said it's become harder to keep thieves off the streets. 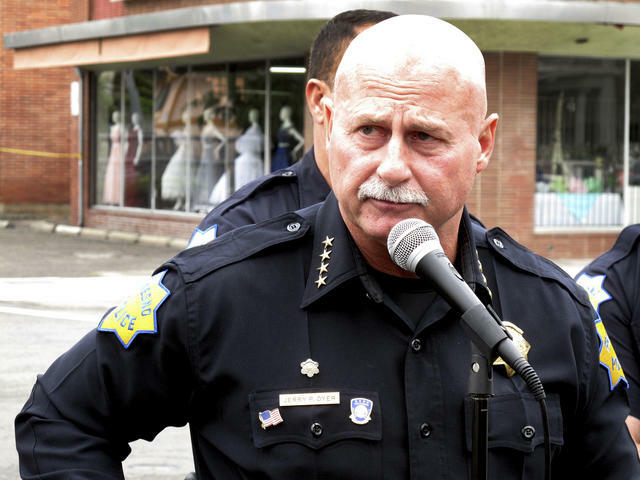 Fresno Police Chief Jerry Dyer said the city has seen a spike in thefts thanks to Proposition 47, the 2014 measure that reduced certain non-violent felonies to misdemeanors in response to prison overcrowding. "There's an individual we have arrested 83 times since Prop 47 has passed, all on petty thefts, 83 times," he said. Berkeley's zoning board rejected a five-story apartment building for being too big. One commissioner said the project would create too much shade. “Berkeleyans depend on the afternoon sun," the commissioner said. 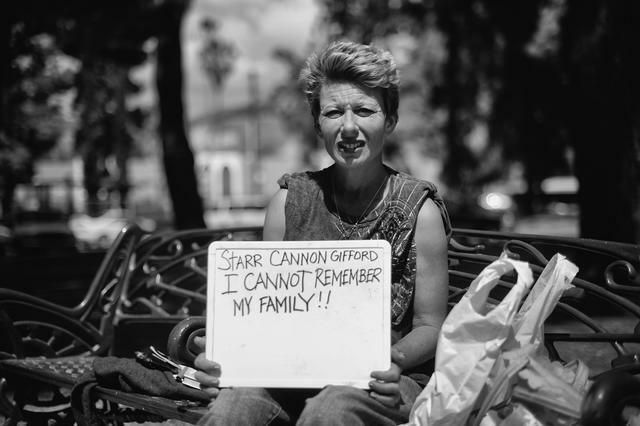 "It’s what we live for.” Berkeley has a severe housing shortage, with students hit hard. The average rent is about $3,100. A 10-year-old from Salinas beat a swimming record that a young Michael Phelps — now a 28-medal Olympian — set back in 1995. At a competition, he swam the 100-meter butterfly in 1:09:38. "It was the most incredible thing I've ever seen," one of his coaches said. The super athlete's name? Clark Kent Apuada. Visitors stay in cottages a short walk from the Healdsburg's town plaza. 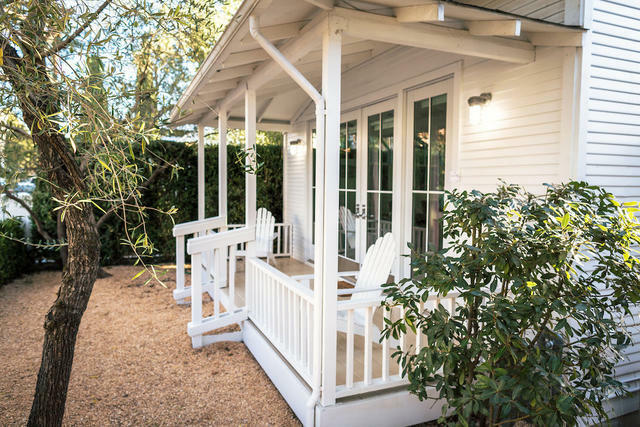 A cluster of stylish 1930s rental cottages in Healdsburg is among the more distinctive places to stay in Northern California's Wine Country. It's included in a list of the 11 best cabin and cottage getaways near the Bay Area. 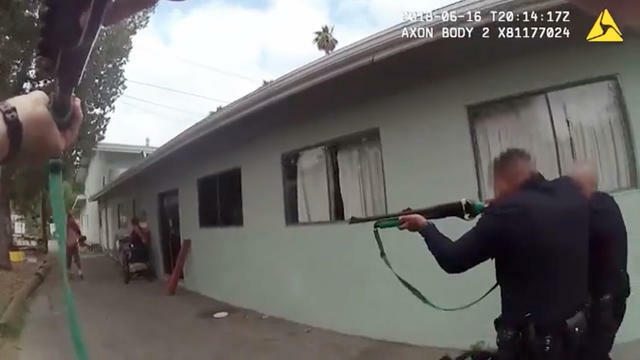 The authorities released footage of a June 16 confrontation in Van Nuys involving a woman held hostage by a man with a knife. Anna March came to Southern California from nowhere to become a rising star in the literary world. Branding herself as an intersectional feminist, she threw fabulous parties, organized awards shows, and held fundraisers for public radio stations. But the people she charmed often seemed to end up getting ripped off. Then journalists started asking questions. In Palm Springs, where voters elected the nation's first all-L.G.B.T. City Council, Geoff Kors and and James Williamson are the city's top political power brokers. Central to their clout has been their Spanish-style ranch, where they’ve hosted celebrities and city officials, and raised piles of money for candidates and causes. Elizabeth Taylor's cliff-top home in Beverly Hills, where she lived in the 1950s, is on the market for $15.9 million. Taylor, who epitomized Hollywood glamour, once described the six-bedroom home as "the most beautiful house I’ve ever seen.” Here are the pictures. Los Angeles is one of only two megacities in the world that has a big cat living within city limits. Now there's another mountain lion in town. Adonis is the first male mountain lion to be spotted in the Verdugo Mountains above Glendale and Burbank since the death of P-41 last fall. The moniker was chosen because of his handsome looks. Shi Ping Tay, 81, left, and Buck Chew, 94. Here are three looks through the lens in California. 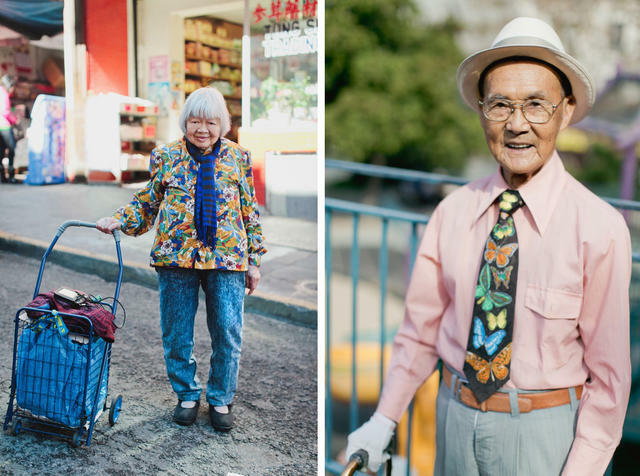 • “I make your coffee & sleep on the sidewalk.” "I want my family back." "Please don't judge me." 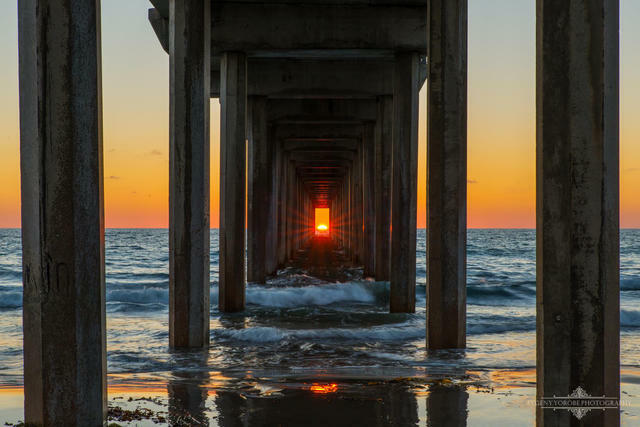 • Evgeny Yorobe's pictures often get shared widely on social media.